Collects Fathom: Kiani #0-4!Kiani, Fathoms popular Elite Blue warrior, embarks on a journey of her own in search for answers. Following the tragic death of her close friend and fellow soldier Brande, Kiani finds herself lost in despair amidst the aftermath of war. After learning a shocking truth about her childhood, Kiani decides to search deeper for the missing pieces of her origin, and the adventure she finds will shape her future for better or for worse. 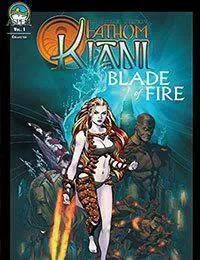 Fathom: Kiani collects together the acclaimed 4-issue mini-series, along with the sold out #0 issue!